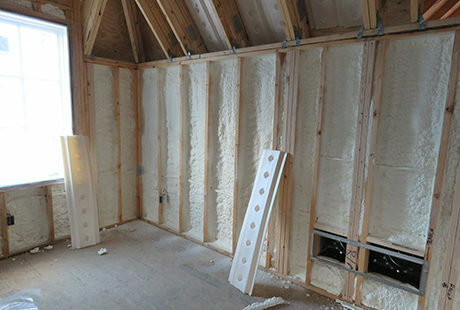 With a view of the golf course this new construction on the greens of the Old Warson Country Club in Ladue, MO is the latest project of residential insulation for Foam Engineers. R27, 2" closed-cell spray foam applied to exterior walls. 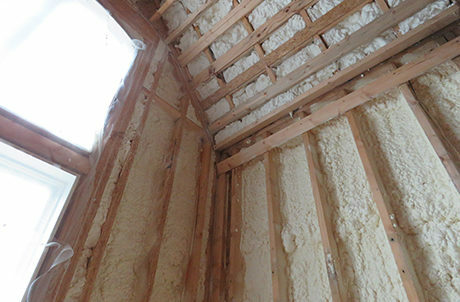 A wide variety of insulation materials came together to provide this beautiful home the right combination for exceptional energy efficiency and comfort. 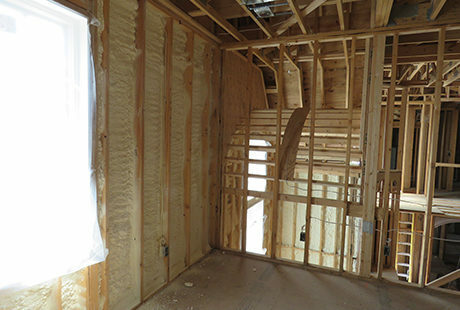 Open-cell and closed-cell spray foam was applied in various levels of the home as well as cavity netting with dense-packed cellulose. 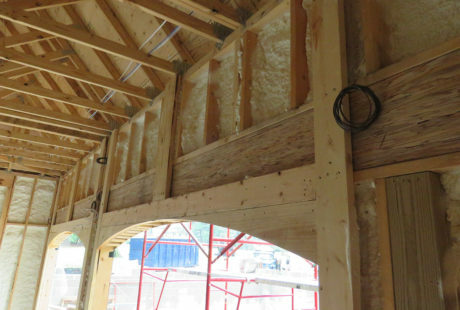 From foundation walls to exterior walls to attic walls and cantilevers, Foam Engineers has the right insulation for every application need. 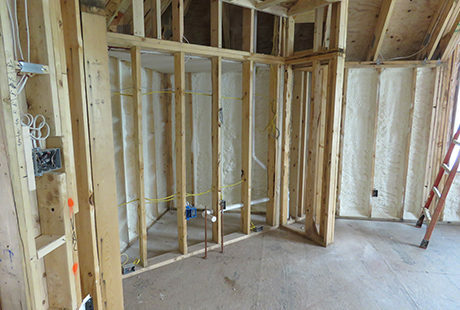 Closed-cell spray foam insulation was used in the master bathroom to provide comfort and sound damping. 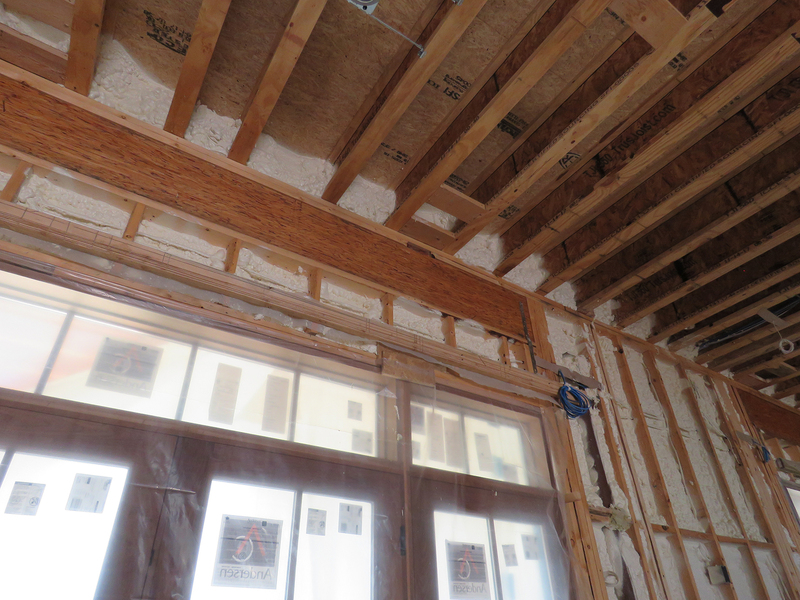 Rafter vents were installed to provide ventilation before open-cell spray foam was applied. 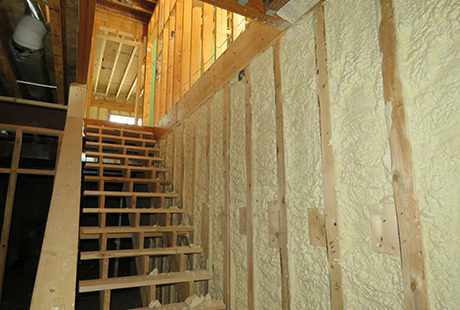 R13, 2" closed-cell spray foam was applied to the lower level foundation walls. After netting was installed, dense pack Bora-Spray cellulose was applied for sound damping. 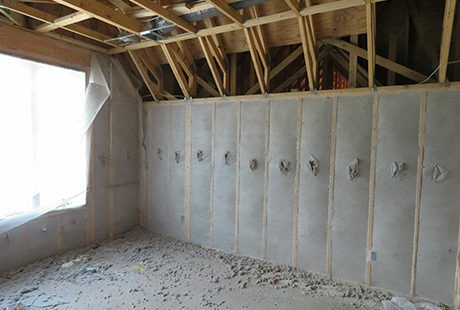 R27, 3" closed-cell spray foam applied to garage walls. R27, 3" closed-cell spray foam applied to exterior walls. 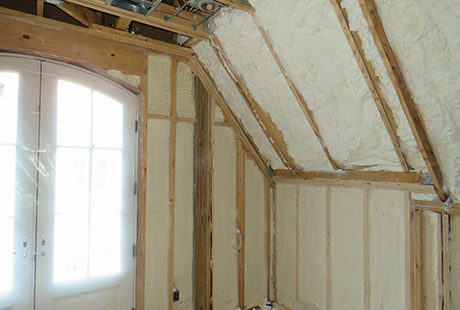 R38 combination attic insulation applied to flat and vaulted portions of the attic. With the help of Foam Engineers it was easy for the home owner and builder to exceeded code minimums at every level for this home. Making the right choice with any budget is easy when choosing Foam Engineers!